Whether you’re a business executive, licensed professional, or public official, an accusation of committing a white collar crime is a highly serious matter that could lead to the ruination of your career and reputation. White collar crimes refer to a broad range of criminal acts involving the use of deceit, fraud, or violations of trust to achieve financial gain. Even though white-collar crimes are non-violent offenses, they are not victimless and can cause significant losses for companies, investors, and employees. 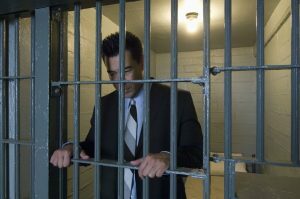 The criminal penalties for a conviction can be severe and may include a lengthy prison sentence and hefty fines. Additionally, those who claim to have been victimized by you will surely file a civil lawsuit to recover their losses. White collar crimes are prosecutable at both the state or federal level. Charges of a Federal nature are brought forth by federal prosecutors who are assisted by federal agents from many different federal agencies and regulatory bodies. How Will I Know if I’m the subject of an investigation for a White Collar Crime? Investigations for white collar crimes are often conducted in secret and can take months, even years to complete. Unfortunately, someone who is the target of a criminal investigation involving state law enforcement authorities or the federal government may end up being the last to find out. Nevertheless, there may be a few signs that may give you some insight as to whether or not you’re involved in an investigation for white collar crimes. It’s essential to involve a white collar crimes defense attorney like Mr. Kokonowski, as early in the process as possible, to “get ahead” of the investigation. 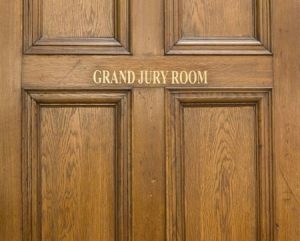 He can intervene immediately to respond to a federal grand jury subpoena and interview witnesses. He can also use his experience as a former prosecutor to negotiate a dismissal or acquittal at trial or strike a plea agreement that minimizes the charges and punishment you face. Fraud — a dishonest act that causes harm to another used to achieve personal or financial gain. Insider trading: trading stock or other securities based on confidential information not yet available to the general public. If you think you are under investigation or have been arrested or indicted for an alleged white-collar crime, you need an experienced criminal defense attorney who can mount a strong defense on your behalf. The Law Offices of Criminal Defense Attorney Thomas Kokonowski, is dedicated to protecting your freedom, reputation, and hard earned assets. White collar crimes are complex and require specific expertise in accounting, technology, and financial practices. Founding Attorney Tom Kokonowski has the skill and knowledge to deliver the best outcome possible.